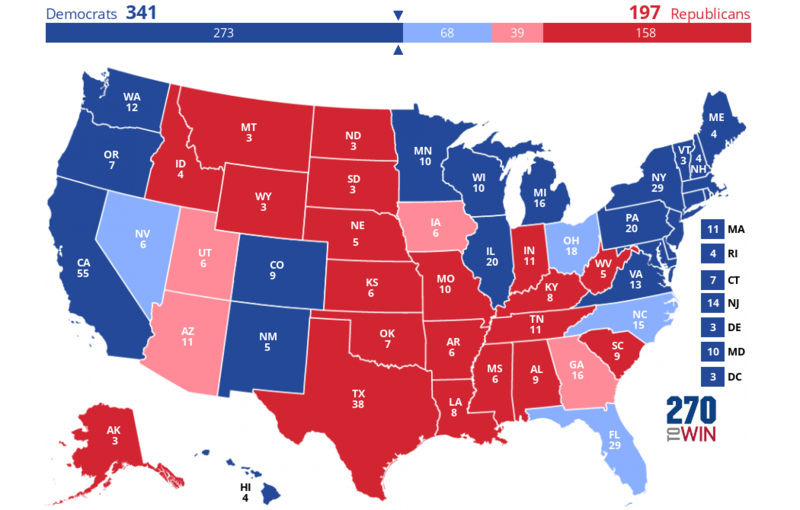 Let’s take yet another look at state-by-state polling and state voting history to get a good prediction for the 2016 election. I primarily look at the RCP average polling numbers but I also take into account polls they don’t use if data is lacking for a state. So taking all that into account, I’m going to make my predictions for how it will all turn out next month. Please note my lightly colored predictions are close enough to potentially change. I think Clinton will likely get 341 electoral votes, Trump at will likely get 197. With Clinton reaching 273 at a minimum, this would place her in the White House. Trump would need to hope all of Clinton’s medical concerns are valid and take a sudden turn for the worse for him to have a chance. Now for the challengers, both Governor Gary Johnson (L) and Jill Stein (G) will be on the ballot in most states in 2016. The Libertarian Party is on the ballot in all 50 states while the Green Party will be on many of them but missed crucial deadlines for some states. Obtaining ballot access is tough work. In polls where Governor Gary Johnson and Jill Stein were included, the polling gap between Clinton and Trump narrowed. The other candidate of notice is Evan McMullin (I) who is polling well in Utah but largely unknown and on only eleven ballots elsewhere. The former CIA spy could potentially shift Utah to voting in favor of Clinton or himself, largely due to his religious affiliation. This however will not impact the election much as Trump is in a large deficit with electoral votes. For McMullin I would guess this showing would catapult him in a position with establishment Republicans potentially setting him up for office in Utah. 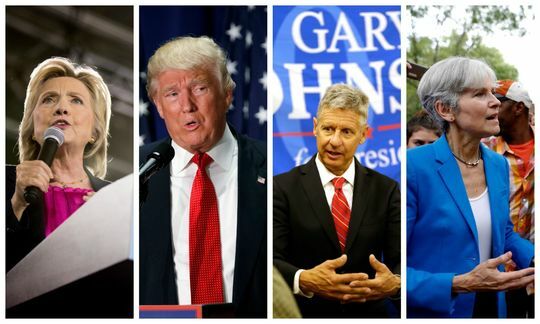 When it comes to national totals of the various challengers, Gary Johnson should come in the lead getting more than 5% of the vote leading to the Libertarian Party obtaining minor party status with better funding and ballot access for the next Presidential election. If you are relying on polls, what are the demographics ? number of people polled? what is the margin of error ? – the statistics are for each poll. Did you figure for the coming out of the wood work population / those who usually do not vote ? Remember, Trump brought out more primary voters than anyone in history. Polls have nothing to do with the electoral process. >If you are relying on polls, what are the demographics? It varies per poll but they try to get a sample representative sample of likely voters. They median seems to be around 800 people in the samples. With 500 at the low end and 1400 at the high end samples. Looking at past statistic courses that’s a large enough sample for this type of poll. >what is the margin of error ? +/- 3.5% in most of the polls. I think taking an average of multiple polls helps with achieving greater accuracy in this area. >Did you figure for the coming out of the wood work population / those who usually do not vote ? Most polls try to select likely voters. Trying to account for people that don’t normally vote sounds more like precognition. >Remember, Trump brought out more primary voters than anyone in history. Primary turnout has a very mixed history for predicting general election turnout and is historically an unreliable indicator. In Trumps case he has the most Republicans vote for and against him that any other Republican before. So it’s an even more mixed indicator with him. >Polls have nothing to do with the electoral process. Remember that when going to your polling place on election day.